Omsk Crow is a relatively new meme in the meme world. 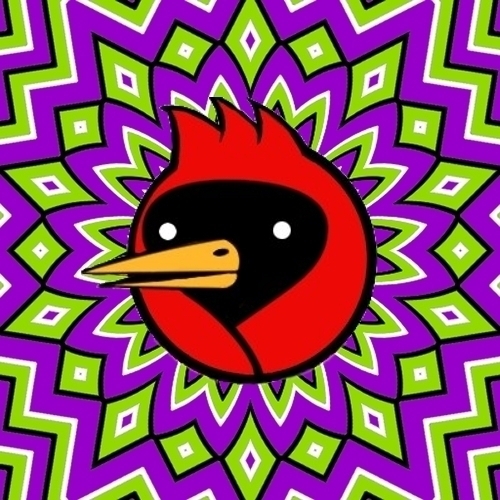 It pictures an artistic depiction of a black crow dressed in a red bird outfit, and wearing a backpack. The background is bright and colorful, though there is an alternate version containing a few colors and some confetti-like effects. The main purpose of Omsk Crow is to depict the effects of mind altering substances on a person and the funny and sometimes unintelligible things they say when that happens. The main meme image carries the tagline: “Welcome to Omsk”. The city of Omsk perhaps denotes the foreign-feeling location that one often finds oneself in during trips, although actually, many of the meme sayings are in Russian and therefore difficult for most English-speaking viewers to translate. Occasionally there are variations that have popped up using different crows, or replacing the crow in its entirety with another head. Conversely, the Omsk crow has also popped up with other backgrounds or looking different.